New York (TADIAS) – For Black History month last week, Macy’s held a series of in-store celebrations that honored the legacy of the distinguished African American artist Romare Bearden. Window displays of paintings by Bearden, as well as other artists, were featured in New York, Los Angeles, Pittsburgh, Chicago, Philadelphia, Washington, DC, and San Francisco. The week-long events included an opening reception, children’s activities, live music, cooking demonstrations featuring Bearden’s favorite recipes, and a celebration of the artist’s 100th birthday if he were alive. 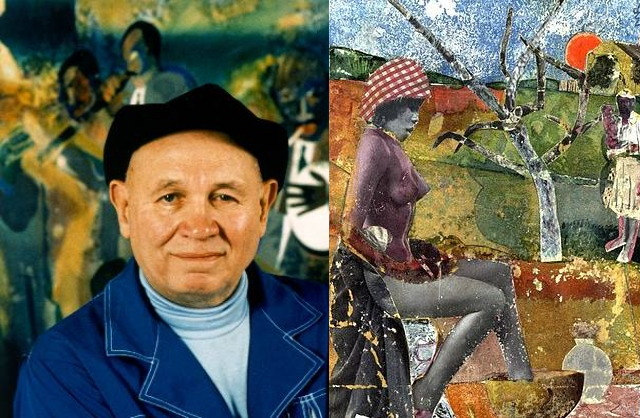 The exhibition “Romare Bearden: Southern Recollections” will open at the Newark Museum, on May 23, 2012. “The Bearden Project” is presently at the Studio Museum in Harlem. This and other exhibitions are all part of the 100th Birthday Celebration. 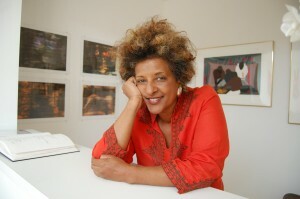 Photo credit: Alitash Kebede by Lily Kebede at Alitash gallery. I saw the show in San Francisco….absolutely fabulous. Thank you the one and only Alitash Kebede!! Betam arif! So wonderful to know there are such experienced Ethiopians everywhere. Thank you for your service Alitash. Hope you can help the Musium in Ethiopia some day to do some meaningful show representing the best Ethiopian art and artists! She is an inspiration and support to lots of young artists. delighted to rear about her on Tadias.